Baldwin, who has asked for all 50 attorneys general to review police training procedures, and teammates met with members of the Seattle Police Department last Monday. When Seahawks receiver Doug Baldwin asked a few weeks ago for all 50 attorneys general to review police training procedures, he hoped it would inspire change. He also wanted to inspire conversation. That conversation in recent weeks has included a meeting he had with members of the Seattle Police Department last Monday at the team facility in Renton. The meeting included other Seahawks players, and he had a phone conversation with Washington State attorney general Bob Ferguson. But the conversations are far from over, as is the kind of change Baldwin feels is necessary. That, for now, makes Baldwin reluctant to detail what he has learned. 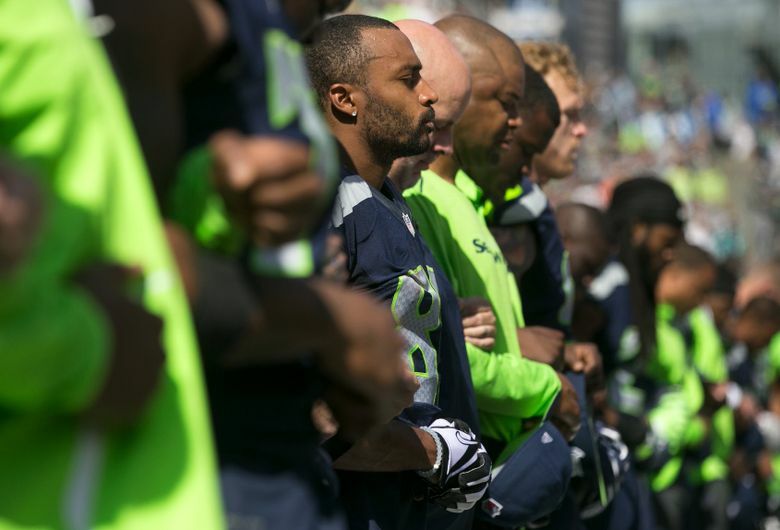 Baldwin made his call to attorneys general after he helped spearhead the team’s decision to link arms during the national anthem this year, a move that came in the wake of San Francisco 49ers quarterback Colin Kaepernick’s decision to first sit, and then kneel, during the anthem. It was through those discussions and the formation of the team’s Building Bridges Task Force that Baldwin decided to determine that training is the area he hopes to improve. “I don’t know (if there’s) one particular thing,’’ said Baldwin, whose father is a police officer. “I would say just the policies that we have in place for our law enforcement don’t necessarily protect them or put them in the best positions to be protected. They are placed in these situations sometimes because that’s what they’re taught, that’s how they’re trained. “And then it’s turned around and they get in trouble or they get prosecuted or looked at in a negative light because of the training that they’ve gone through. Their job is a very difficult job, obviously. They put their lives on the line every time they go out onto the street. Baldwin last week appeared on “60 Minutes Sports” on Showtime and “Any Given Wednesday” on HBO.